I am making a curry. It should keep me warm during the cold weather. It has been a tough day so I am hoping to rejuvenate myself with dinner before I rest for the night. I have scoured the surroundings for the necessary ingredients and thrown them all into a pot which I now stir with a wooden spoon. A sip for taste – ah, the curry is slightly too bitter. No matter. I grab some of the honey I collected just for this occasion and add a bit to the sauce to bring out some of that sweetness. Hungry for more? Check out the best free PC games out there. No, this is not a scene from a videogame. This is real life. And, somehow, I am cooking with a degree of confidence. Before, you see, I was anxious, sweatily scrutinising every detail of a recipe. But a recent spate of food-focused videogames have opened me up to the magical world of cooking. The wonderful interplay of ingredients, tastes, and textures makes much more sense to me when translated into game systems and mechanics. As a result, I am now able to cook vaguely competent meals without stress. 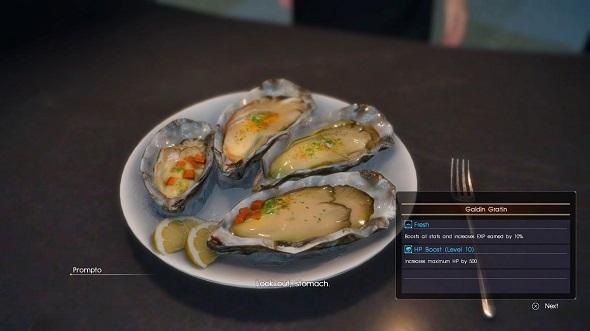 Final Fantasy XV started my renewed fascination with cooking. 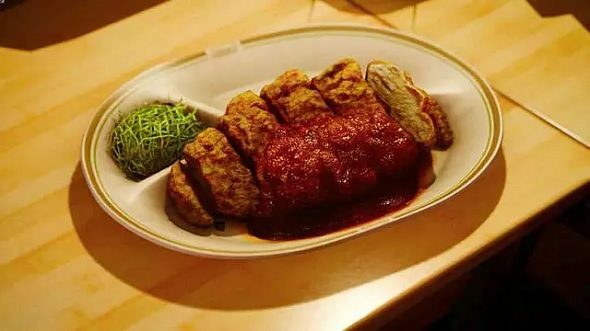 As you travel across its world, going into restaurants and collecting ingredients, the cook in your group, Ignis, encounters new recipes that he can whip up as you camp overnight. You are encouraged to do this as eating meals gives your party bonuses that help in combat and exploration. Eating huge platters of food before battle is just as important in Monster Hunter: World, too. Walk up to the Meowscula Chef, order a meal, and it will be thrown in front of your character, who hungrily chomps through it to get boosts to attack and defence. But while those two RPGs sold the benefits of cooking to me with some of the most tasty food yet seen in games, it was Cook, Serve, Delicious! 2 that helped with the practical side. 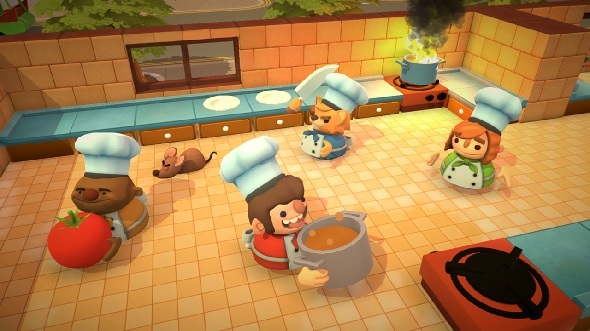 The game can be stressful at first given that it has you working as a chef, tackling a constant stream of food order tickets and kitchen chores. But as you become more efficient at these processes, you also feel very much like you are improving as a chef. I managed to find satisfaction in reaching a zen-like state of calmness in Cook, Serve, Delicious! 2, which I was then able to transfer to my time cooking in my own, slightly less hectic kitchen. 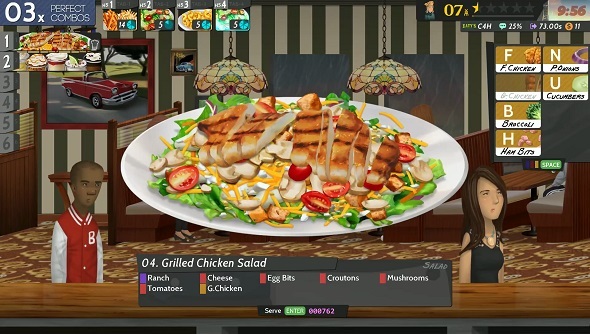 Cook, Serve, Delicious 2!, and other recent games like Battle Chef Brigade and Overcooked, focus on mastering different cooking techniques. They show you the granular processes and details of cooking and have you perform them – unlike, say, the vague object crafting of Minecraft, where a piece of wood and a feather is magically turned into a bow and arrow. By breaking the act of cooking down into small systems through these games I was able to better understand it and find the confidence to experiment with mixing different ingredients and techniques in real life. Now, not only am I able to cook achicken katsu curry, I can cook mychicken katsu curry.